Howdy, everybody. This is Ken “Graalx3” Burd. 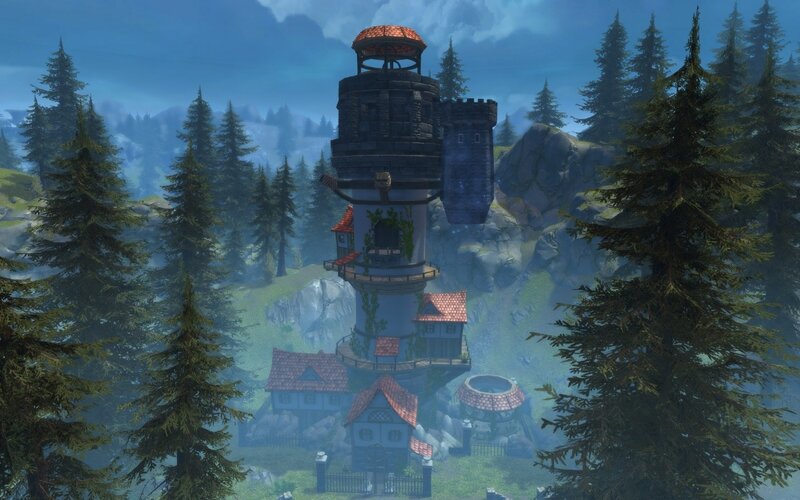 Today we are going to go over nine structures your guild can build in your stronghold and the Boons that they make available. 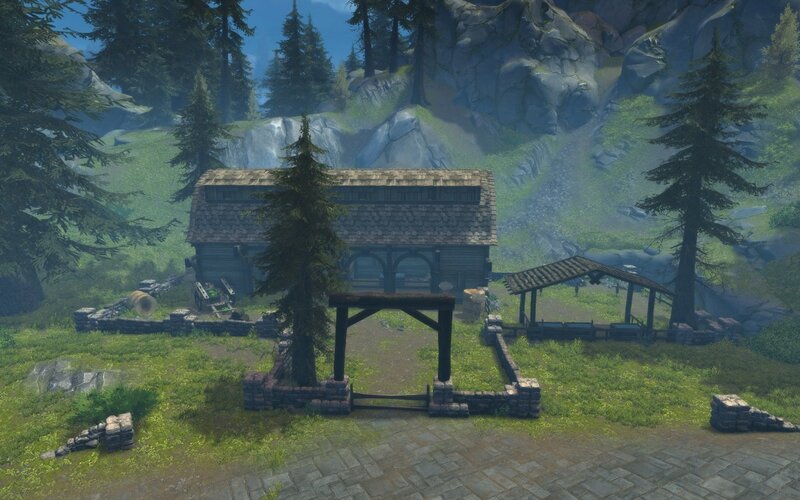 Each of these buildings give the members of your guild access to two or three Boons, depending on the rank and type of the building. The exact mechanics of selecting which Boons you have active are covered in the Stronghold Boons blog post. 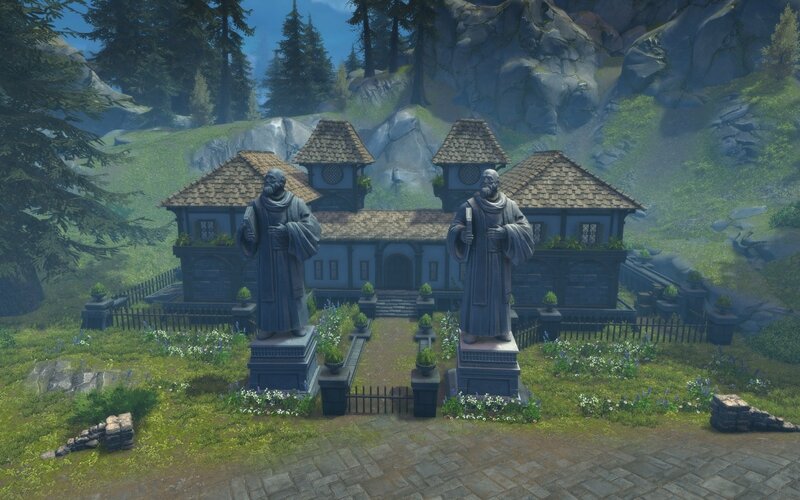 This article only tells you which buildings grant you Boons and what those Boons do for you. NOTE: The numbers given for each of these Boons are subject to change. 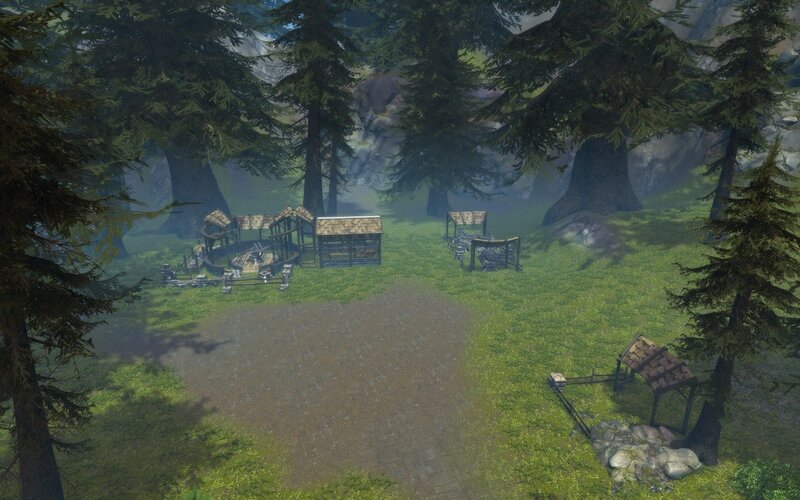 The Barracks attracts soldiers willing to defend the Stronghold at any cost. This Boon increases XP earned: 3% at Rank 1, and reaches 30% when the structure achieves Rank 10. This Boon increases your Power statistic: 1000 at Rank 3, and reaches 8000 when the structure achieves Rank 10. This Boon has lessened effectiveness if you are not level 70. This Boon increases the bonus that you receive to Healing spells cast on you: 5% bonus at Rank 5, and reaches 15% when the structure achieves Rank 10. Some live for the thrill of battle, while others wish to explore the world. The Explorer’s Guild is formed of the latter and filled with tales of wondrous sights. This Boon increases the amount of gold you earn: 3% at Rank 1, and reaches 30% when the structure achieves Rank 10. This Boon increases your character’s Control Resist value: 2% at Rank 3, and reaches 16% when the structure achieves Rank 10. This Boon increases several of your character’s statistics, depending on the number of characters in the party that also have this Boon active. The amount each stat is increased starts at 400 at Rank 5 and reaches 2400 when the structure achieves Rank 10. The stats increased are given in the following table. This Boon has lessened effectiveness if you are not level 70. A wandering group of mercenaries are willing to sell their services to the guild for the right price. Loyalty guaranteed. This is one of a new type of Boon being introduced with Strongholds; it enhances the effects of a new type of Overload Enchantment that is available for purchase in your Stronghold. This Boon enhances the effects of any of the Companion slayer enchantments, or Companion ward enchantments. This includes: Companion's Mark of the Wizard Slayer, and Companion's Mark of the Paladin Ward to name a few. This Boon starts at 5% for Slayer and 1% for Wards at Rank 1, and reaches 50% for Slayer and 10% for Wards when the structure achieves Rank 10. This Boon increases your damage resistance from a Critical Hit: 2% at Rank 3, and reaches 16% when the structure achieves rank 10. This Boon increases the damage that you deal when you score a critical hit: 2.5% at Rank 5, and reaches 15% when the structure achieves Rank 10. Every adventurer needs a trusty mount to get them around, and a stable will ensure only the best care for these mounts. This Boon increases your Defense statistic: 800 at Rank 1, and reaches 8000 when the structure achieves Rank 10. This Boon has lessened effectiveness if you are not level 70. This Boon increases your Armor Penetration statistic: 1000 at Rank 3, and reaches 8000 when the structure achieves Rank 10. This Boon has lessened effectiveness if you are not level 70. This Boon increases your movement speed while you are mounted: 3% at Rank 5, and reaches 20% when the structure achieves Rank 10. 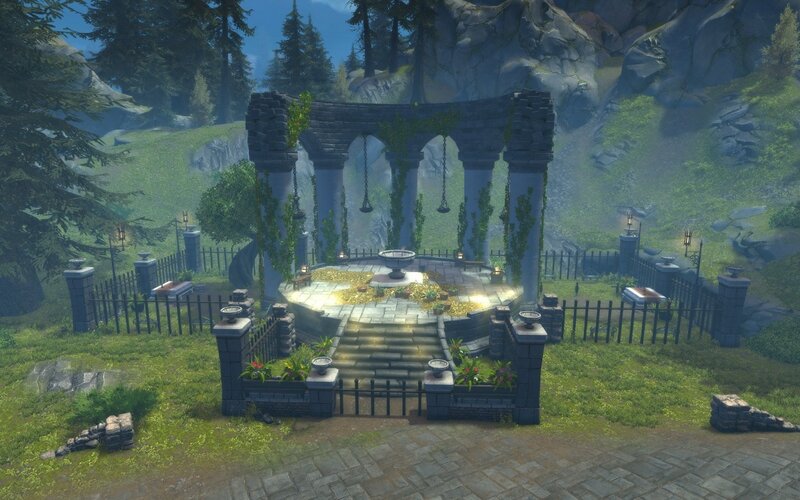 The gods of Faerûn smile on those who worship them, and a temple is the best place to do said worshipping. This Boon increases your Life Steal statistic: 800 at Rank 1, and reaches 8000 when the structure achieves rank 10. This Boon has lessened effectiveness if you are not level 70. This Boon reduces the time that you are affected by Revive Sickness: -30 seconds at Rank 3, and reaches -4 minutes when the structure achieves Rank 10. This Boon causes Healing potions and Distilled Healing potions that you drink to also affect your teammates at lessened effectiveness: 25% at Rank 5, and reaches 75% when the structure achieves Rank 10. 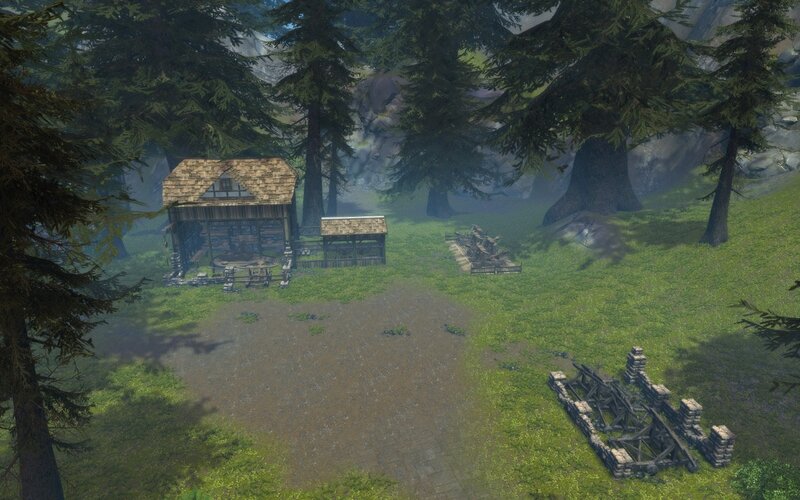 Whip the Stronghold’s townsfolk into shape with the Training Yard! They’ll start as peasants and come out as veteran warriors. Another new type of Boon, this one enhances the effects of a new type of Overload Enchantment available in your Stronghold. This Boon enhances the damage done by any of the PvE-focused Slayer enchantments, such as Mark of the Lycanthrope Slayer and Mark of the Dragon Slayer. It starts at 1% at Rank 1, and reaches 10% when the structure achieves Rank 10. This Boon increases the Glory that you earn in PvP: 3% at Rank 1, and reaches 30% when the structure achieves Rank 10. This Boon increases your damage resistance against Area of Effect attacks: 2.5% at Rank 1, and reaches 15% when the structure achieves Rank 10. 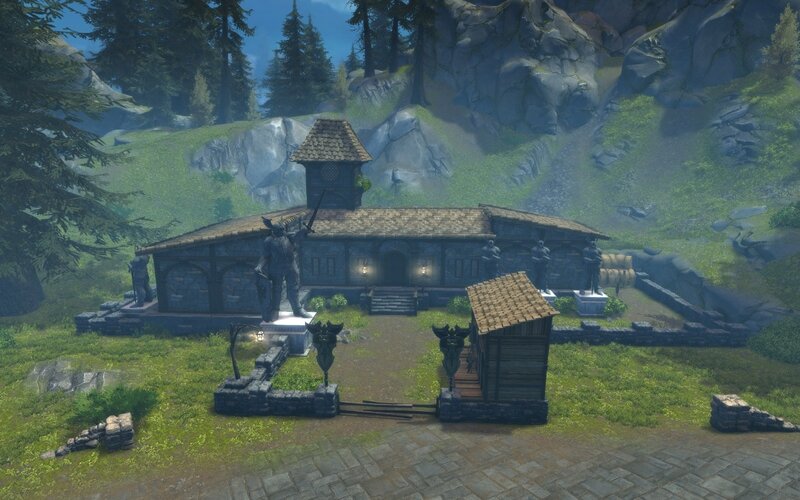 Every wizard needs a workshop to experiment in, and this workshop is large enough to ensure no one in the guild will get hurt… probably. This Boon increases your hit points: 3200 at rank 1, and reaches 32,000 when the structure achieves Rank 10. This Boon has lessened effectiveness if you are not level 70. This Boon increases the amount Healing and Distilled Healing potions heal: 6% at Rank 3, and reaches 48% when the structure achieves Rank 10. Another new type of Boon, this one enhances the effects of a new type of Overload Enchantment available in your Stronghold. This Boon enhances the damage reduction of any of the PvE-focused Ward enchantments, such as Mark of the Undead Ward and Mark of the Fey Ward. It starts at 1% at Rank 1, and reaches 10% at Rank 10. The last two buildings give Boons that are effective in PvP. 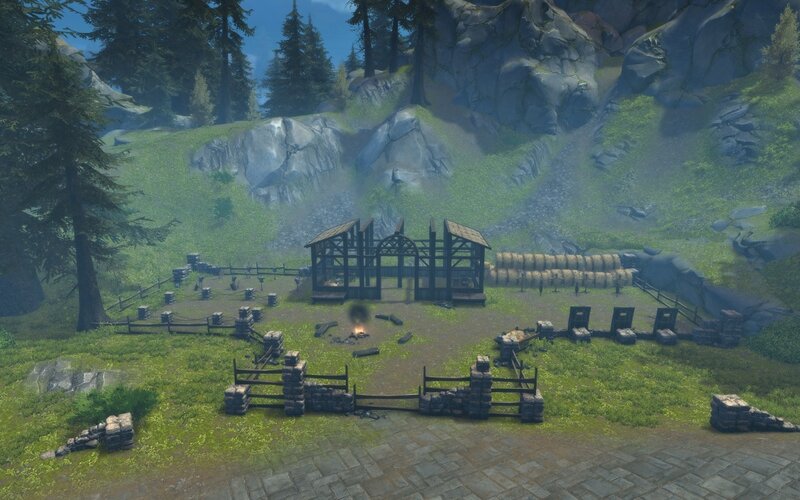 Sometimes guilds come into conflict with one another, and when they do you’re going to wish you'd built a Siege Workshop. This is another of a new type of Boon: it enhances the effects of a new type of Overload Enchantment available in your Stronghold. This Boon enhances the damage done by any of the PvP-focused Slayer enchantments such as Mark of the Rogue Slayer, or Mark of the Guardian Slayer. It starts at 1% at Rank 3, and reaches 10% when the structure achieves Rank 10. This is another of a new type of Boon. It enhances the effects of a new type of Overload Enchantment available in your Stronghold. This Boon enhances the Stamina drained by any rank of Mark of Stamina Drain. It starts at 5% at Rank 5, and reaches 30% when the structure achieves Rank 10. 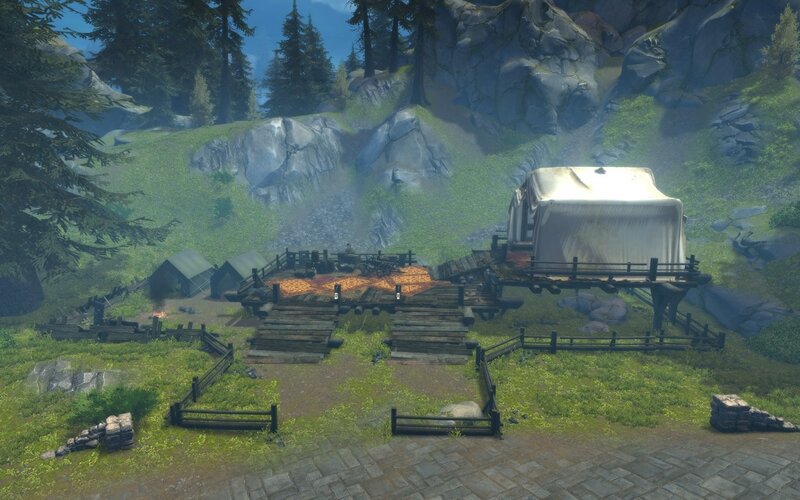 When a guild absolutely needs to fight another guild, you build a Siege Smithy to get an advantage. This new type of Boon enhances the effects of a new type of Overload Enchantment available in your Stronghold. It increases the Stamina drain protection given by any rank of Mark of Stamina Ward. It starts at 5% at Rank 3, and reaches 40% when the structure achieves Rank 10. This last Boon enhances the effects of a new type of Overload Enchantment available in your Stronghold. It enhances the damage reduction of any of the PvP-focused Ward enchantments, such as Mark of the Paladin or Mark of the Cleric. It starts at 1% at Rank 5, and reaches 10% when the structure achieves Rank 10. And thus the lesson for today ends. Good luck and have fun storming the Stronghold! Make sure to watch our official gameplay trailer. Discuss in the official forums.